If I could pinpoint one lesson that I’ve learnt from my recent tour of NSW clubs, it’s the importance of a facility master-plan. In recent years I’ve had the pleasure of working with some of the large foundation clubs in NSW and it’s hard not to be impressed by their sheer size. But underneath the glossy exterior, a lot of these larger venues north of the border are oversized and inefficient – a result of haphazard short-term planning and impulsive business decisions. Hospitality venues, like clubs, need to understand where they make money and where they don’t. It’s also important to accept that hospitality venues need to be rejuvenated on a regular basis. Clubs attract high volumes of traffic with many customers visiting the venue multiple times each week. It’s important to continue to revitalise your club in a systematic way and understand the principles of undertaking a sound venue master-plan. For your venue to capitalise on this significant undertaking, here are 8 rules for renovation and redevelopment to consider before your venue goes under the knife. For most clubs with more than about 50 machines, gaming is by far the most profitable part of your business and deserves capital investment. 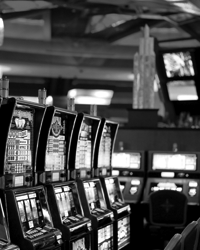 With every dollar spent in a poker machine, the average club is able to retain about 50 to 60 cents to pay the overhead costs of the business, replacement of machines and make a significant contribution to the venue’s bottom line. Improvement of gaming facilities needs to be a key part of every capital project as competition for the gaming patron is increasing, and venues that ignore their gaming room will ultimately lose revenue over time. Machines can’t thrive as a standalone unsupported facility. Cafés, bar/lounge spaces and dining areas need to complement the gaming hub to provide a balanced environment for the customer. Dedicated quality café areas for the “all day grazer” are now important facilities to clubs and should be considered in any capital investment. Similarly, bingo halls and day time entertainment areas can be important drivers for revenues and visitation. Any capital project should consider whether improved smoking areas can be included. Smoking areas should be warm in winter, cool in summer and designed specifically for their purpose to avoid becoming used as a de facto beer garden. Larger venues will benefit from a number of smoking areas directly accessed from the gaming room and with a moderate level of comfort and atmosphere. Car parking is a major driver of your business. However most clubs fail to provide enough car parking to meet the commercial needs of the business operations. As competition intensifies, offering more than two car parks for every gaming machine gives your venue a significant competitive advantage. Investments in high ceiling concert rooms, function facilities, up-market fine dining restaurants, TAB and sports bars and night clubs generally provide low returns in the club market. Overspending in areas that produce low or no return will often result in a tighter working capital position and more restrictive cash flows. Before a significant capital investment, ask why your venue needs redevelopment or refurbishing. Boards and Committees have an obligation to ensure that the proposed redevelopment meets the needs of current members, as well as considering future social trends and demands. A poorly assessed club redevelopment can easily become a huge financial drain on the club. Before embarking on a capital works program, decide on the capital investment options, complete likely cash flow projections for each option and calculate your likely return on investment. A major investment in car parking and improving the gaming room might cost $3 million, but increase your annual earnings from the business by $500,000 giving you an approximate 17% return on the investment. Investing $1 million in a new foyer might not improve your earnings at all and you will want to calculate this before you commence work. Avoid relying on increased earnings to service debt on a major capital project. Banks in the current environment will be very reluctant to lend in this scenario. Your operating surplus must be able to cover your intended debt interest at least twice over and you should be able to show that you can fully repay the debt over seven years. It’s important to remember excessive long term residual debt can become a barrier to your next refurbishment and spending too much now, may weaken your venue’s position over the long term. Major clubs should be seeking to undertake a capital project every three to four years. Venues that fail to keep this program going fall behind, making any catch-up project large and risky. The most logical course of action is to complete a small refurbishment, followed by a large extension/refurbishment three or four years later, followed by another small refurbishment. This schedule ensures your venue remains fresh and appealing for members now and into the future. If you are considering a fresh look for your venue, make sure you get relevant advice and talk to people with experience in providing high quality venue improvements that produce impressive outcomes within a short timeframe. DWS Hospitality Specialists have accumulated years of experience in generating successful outcomes for our clients. Call to speak with the team at DWS on 07 3878 9355 or email us at info@dws.net.au.